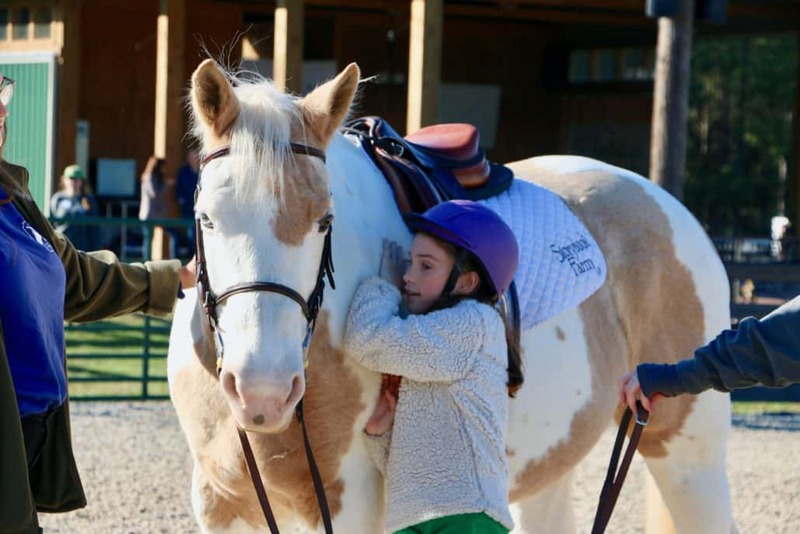 Through recreational riding, educational and social engagement, our objective is to offer a respite for children and families and to provide an experience that builds self confidence, self esteem and self reliance; where a sense of “can do” carries the day. 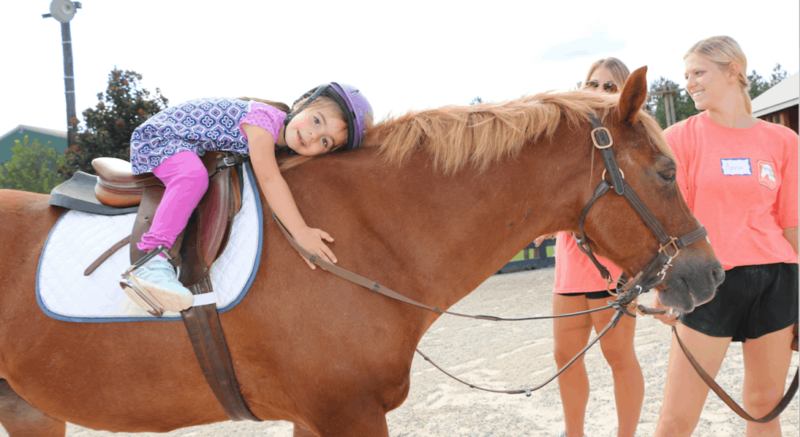 Our goal for each child in our “Hope on Horseback” programs is that they embrace life: physically, emotionally, intellectually and spiritually. Connection and equality is found on the back of a horse. The horses’ legs replace those of children who cannot walk; the horses’ mind becomes the driving force behind those who have pervasive developmental delays; and the horse becomes a friend to those who struggle emotionally. Because of their time in the saddle, rider’s self-esteem grows; they feel a sense of acceptance, love, belonging, achievement, respect and confidence. They also have a sport to call their own and their identity is no longer bracketed by their condition. They become victorious. Horseback riding is considered an excellent form of non-traditional therapy by the medical community. Because the horse rhythmically and naturally moves the body in a manner similar to the human gait, riding is soothing to tight and spastic muscles; builds core body strength; tones, stretches and strengthens muscles; improves balance, posture, reflexes, fine and gross motor skills, and eye-hand coordination. Enormous emotional benefits are also found on the back of a horse. The joy that riding brings to the children is boundless. The children communicate with the horses (and vice versa) on a level that we cannot fully articulate, but it is on a level that brings a feeling of trust, warmth, love and honesty that simply cannot be duplicated between humans. It is truly awe inspiring when a child struggling with countless physical and emotional issues can let them all go and find a sense of peace, friendship and protection atop a gentle horse; often finishing the day with the belief that anything is possible. Success is found around every corner at Storybook Farm. One of our longtime riders suffers with Tourette syndrome. He has been coming regularly to Storybook for many years and during this time he has had to change schools repeatedly (6-7 times) because the schools simply cannot handle his behavioral issues. To our amazement, he has never had a behavioral episode at Storybook. In fact, he has enthusiastically asked if he can keep coming for the rest of his life! He is now 16.